Rovio has came a long way and they had made the name in the history and have also reached a market, where companies and inventors reach in many years. With the Angry Bird getting high success, the company has reached to the most recognizable gaming company in the world. Following the Angry Bird series, Rovio has now launched Bad Piggies which is a new series. This news series has got better and more exciting puzzle solving approach than just pull and shooting game. It is the 3rd game in the portfolio and has got the same colors and physics engine similar to which you might have seen in the predecessors. The game has got 4 world and 45 levels in each of the worlds. First 2 worlds are unlocked and once you complete them you can enter to the rest of the worlds. 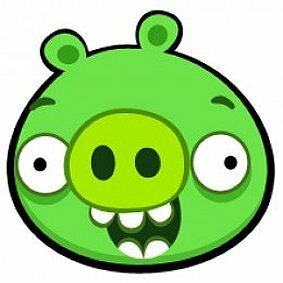 You can download bad Piggies from here. Microsoft Surface RT Vs. Apple iPad: Which One IS Better?